So, just how did those Georgians cope with cleaning delicate fabrics? They couldn’t simply nip along to a dry cleaners to have them chemically cleaned. 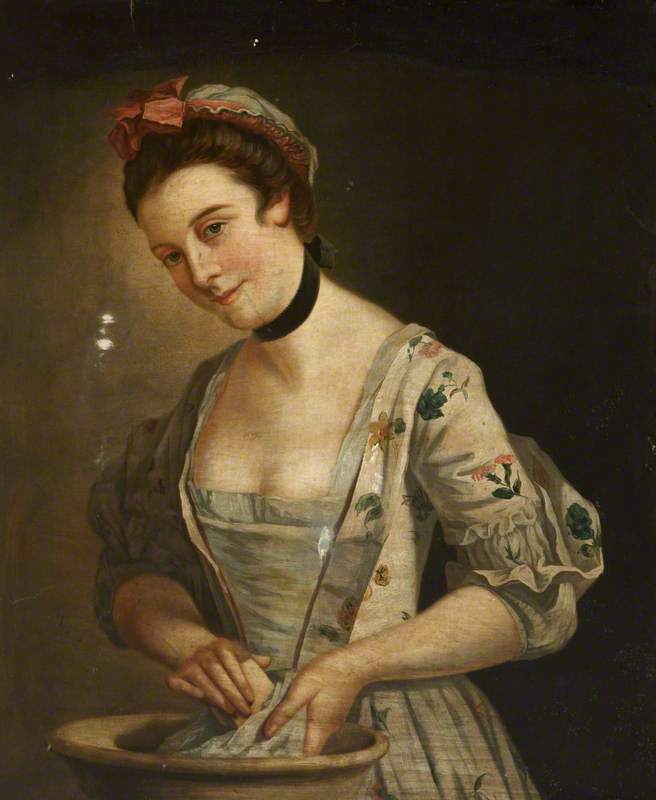 Well, we came across this wonderful little book from 1753, packed with all types of useful information including top tips for cleaning clothes, ‘Madam Johnson’s Present: Or, Every Young Woman’s Companion in Useful and Universal Knowledge’ so we thought we would share some of them with you. We have no idea as to how effective some of these methods are so ‘approach with caution’. Some of them sound very dubious, so please do be careful if you try them one at home as we acceptable no responsibility! Thanks to Angelyn for this great post! The Tattler, as she(?) readily admits, has been applied to for advice not only in the arts and sciences, but in matters of astrology (“I have had money offered to me in an attempt to bribe me into a fit of supernatural occasion) and medicine (no less than three letters requesting receipts to cure corns and another for the mode to cure chilblains). For example, in Ackermann’s Repository of Arts, etc., March 1, 1818, Vol. V, the Tattler addresses two letters from harassed husbands of the Regency. I had to share this great post!! This makes me wonder how much we think is true about the past really is. Today’s post has been written with our genealogy followers very much in mind and those who love nothing more than a good challenge. So, according to the government, health experts and others we’re going to live longer than ever before. Well, if you believe these accounts of longevity below we’ve got quite a way to go to exceed some of these instances. 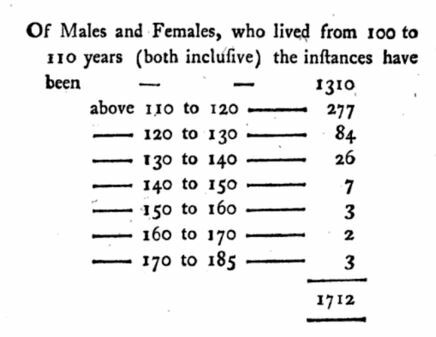 All of these accounts appeared in the newspapers and also in a collated account of longevity written by James Easton ‘Human Longevity: Recording the Name, Age, Place of Residence, and Year’ in 1799.